Let's create a world where all kids have greater hope and opportunity. Help more kids in high poverty areas connect in organized volunteer-based tutor/mentor programs. I started this work 25 years ago. Please contribute to help me continue. We want these opportunities for our own kids and grandkids. We all want same long-term result of kids moving safely through school and into adult lives and jobs.  Read this article to see how the Tutor/Mentor Institute, LLC and T/MC support this goal with an extensive knowledge base. This video shows my commitment to helping tutor/mentor programs grow in all high poverty areas. 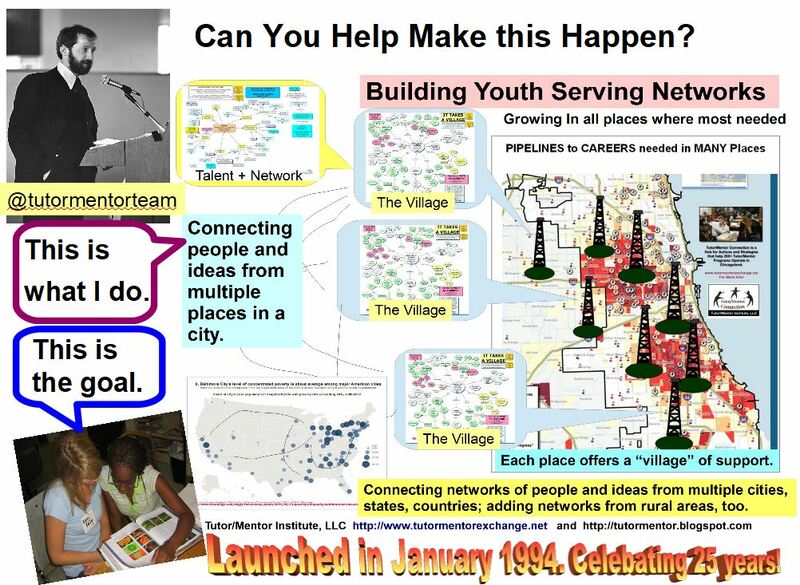 Rather than trying to be the single leader in a huge city, the T/MC and now T/MI, have sought to provide an information platform that all leaders can use to LEARN, EDUCATE, and innovate ways to support tutor/mentor program growth in more places and to solve other complex social, political and environmental problems facing cities. Please help me continue to do this work. If someone you know has become ill and needs money to pay bills, they set up a "Go Fund Me" page and ask for contributions. They are not 501-c-3 non profits. They are people needing help. The Tutor/Mentor Institute, LLC is not operating as a non profit either. However, it's also not a profit-making business. So, this is my "fund me" page. I (Daniel Bassill) have been self-funding this work since 2011 supported by a few small donors. I need your help to continue in 2019 and beyond. Please send a contribution of $25, $100, $500 or more. Become a volunteer, advocate and/or partner and help me find sponsors, investors and partners to build this platform for future use. Read more . Dan Bassill and his work. Thank you for your help!